While New Zealanders increasingly use mobile devices to watch video content, 3.2 million New Zealanders aged 10+ (84%) are viewing over 23 hours of broadcast TV through their TV sets across a week. In comparison, online New Zealanders spend 15 hours per week using the Internet. The latest New Zealand Multi-Screen Report, covering trends of Kiwi video viewing, reveals that around a quarter (26%) of New Zealanders watch TV content through other devices (not a TV set) in an average week. (See chart 1). Besides the TV set, the most popular devices for watching video content across a week are desktops/laptops (39%), smartphones (27%) and tablets (18%). Mobile phones and Smart TVs had the biggest year-on-year growth. "TV broadcasters are custodians of quality content and able to reach the most people. New Zealanders sitting in front of the telly are not planning on cutting the chord any time soon. 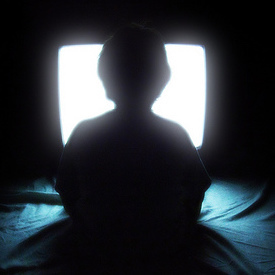 Savvy content providers have recognised supplementing traditional TV by integrating content across connected devices delivers to consumer demand to watch content anytime, anywhere, on any screen" said Caroline Atford, Executive Director, Nielsen NZ. Atford continues, "People are engaging with their TV sets more than ever. They are either watching broadcast content or using it for other purposes, such as gaming and browsing the internet, for an average total of five hours a day in 2015." (See Chart 2). New Zealanders aged 15-29 have the highest proportion of other TV use, however for every minute they spend doing this, they are watching more than two minutes of broadcast TV content. While Kiwis are making use of personal video recorders (PVRs) to watch their favourite TV shows and movies at a time that suits them, 90% TV broadcast viewing time continues to be live (watching when the programme airs). Of the 10% of content that is time-shifted 70% is watched within 24 hours of broadcast. PVR ownership, now in more than one-in-two homes (55%), is levelling off. This compares to smartphone and tablet owners who have grown 40% over the last two years. Atford adds, "These connected devices, along with Smart TVs, can be used to access TV catch-up services and add to the convenience audiences’ desire."